Just like the other rooms in your house your kitchen too needs to look chic and special. You should make sure that your kitchen is well maintained and has all the amenities. There are plenty of new trends in the world of kitchen décor. These new trends make your kitchen look stylish and modern. 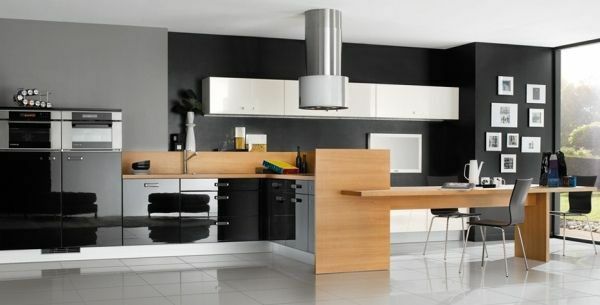 Use of different materials for setting up the kitchen counter and cabinets is the latest trends. These innovative materials are thin and yet they are found to be pretty strong. There are also concepts where the sink in integrated in a unique way. The sink appears only when required and this looks like sheer magic. 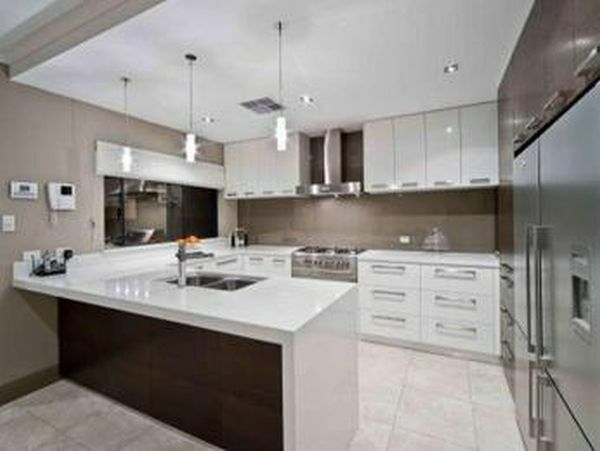 The use of LED strip lights,cabinet doors which actually open at 180 degrees which give you more space to use also makes the kitchen look artistic. The different ways in which the ceilings and glass showcases are done in the kitchen make the humble place look absolutely charming. Even the kitchen cabinets are getting smarter these days. The cabinets can be controlled with the help of touch screen devices. They make use of a biometric system of closing and the opening of cabinets. These cabinets come with inbuilt programmes and sensors. Using these sensors the cabinets can actually sense the need to close drawers etc and function accordingly. Space constraint is no constraint with these integrated living spaces. 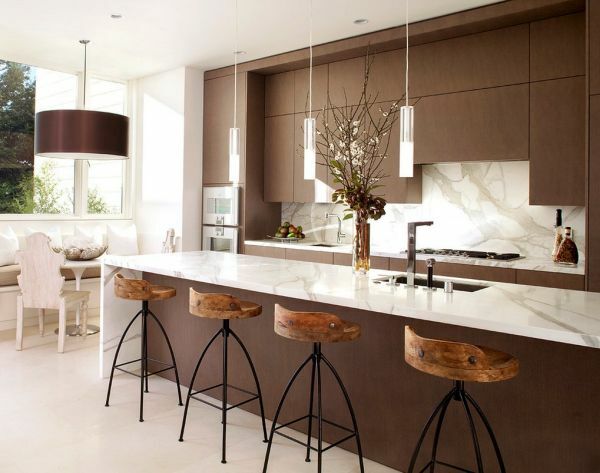 Interior designers these days design kitchen space in such a way that the kitchen becomes a part of the living space. 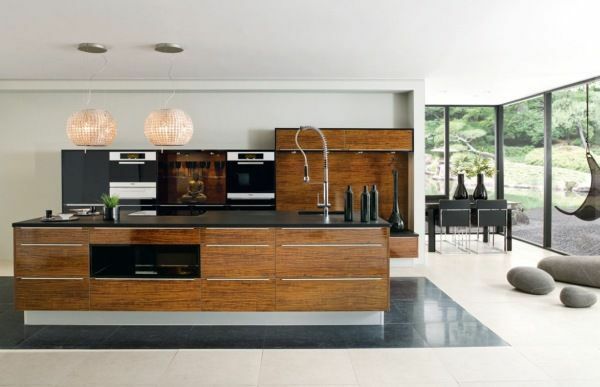 The concept of an open kitchen is one such example. In open kitchens, the kitchen intermingles with the living room. The use of furniture can be done in an intelligent manner so that side tables and chairs can be used as a part of the kitchen as well as the living room. There are plenty of smart appliances which not only help you work faster but they also increase the aesthetic appeal of your kitchen. Like the new refrigerators which have freezers at the bottom freezer so that the most important veggies and foods can be stored at the top. There is also an increasing trend of using dishwashers which not only cleans but also sanitises your vessels. Smart microwaves can now be controlled using your smartphones. They also help you cook meals easily and without stress. In addition, these days one can find smart frying pans which are so intelligent that one can actually check the temperature of the steak that one is grilling. Similarly, you can find smart blenders and even intelligent fork which give you an analysis of just how much you have eaten so that you do not put on those extra pounds. 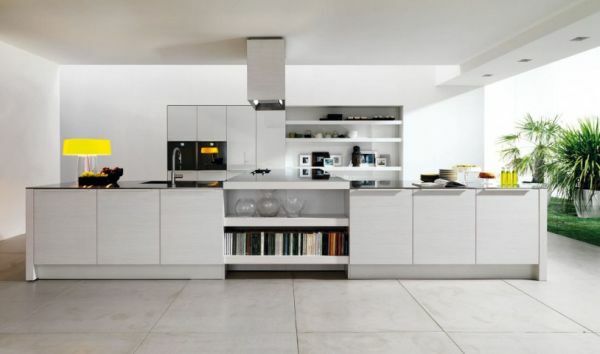 The concept of modular kitchens is not new but these days’ architects incorporate nature into these modular kitchens. This usually involves having plants in a space in the kitchen itself. Usually, the plants selected are such that they can be of use to the cook. Like a tiny herb garden where you can have fresh thyme or chives. Alternatively, the new nano garden concept is also a great way to grow fresh vegetables just next to your kitchen counter. These vegetables can be grown without the use of harmful pesticides and are totally safe. 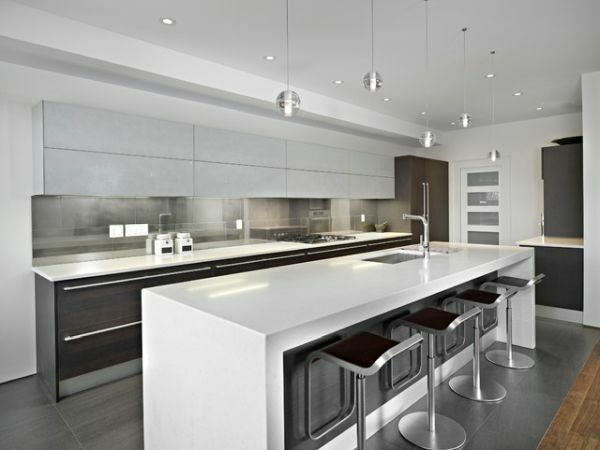 Creativity, innovation and technology are making the kitchens look elegant and trendy. Besides modern day kitchen are also absolutely sophisticated. The appliances and the interiors are turning out to be even smarter than human beings and is making human chores easier.